Hey, Let’s talk numbers for a minute…. Now realize that this represents all of the people who will be diagnosed with breast cancer…in this year. That’s 270,000 men and women. The good news is that we have the power to change the numbers by getting involved with the American Cancer Society’s Making Strides Against Breast Cancer Across Second Life right now! The Strides series of events will feature 5 different ways that you can use your Second Life to fight breast cancer. Walker registration for this event will open on September 15, 2018. Sponsorship registration will open on September 16. 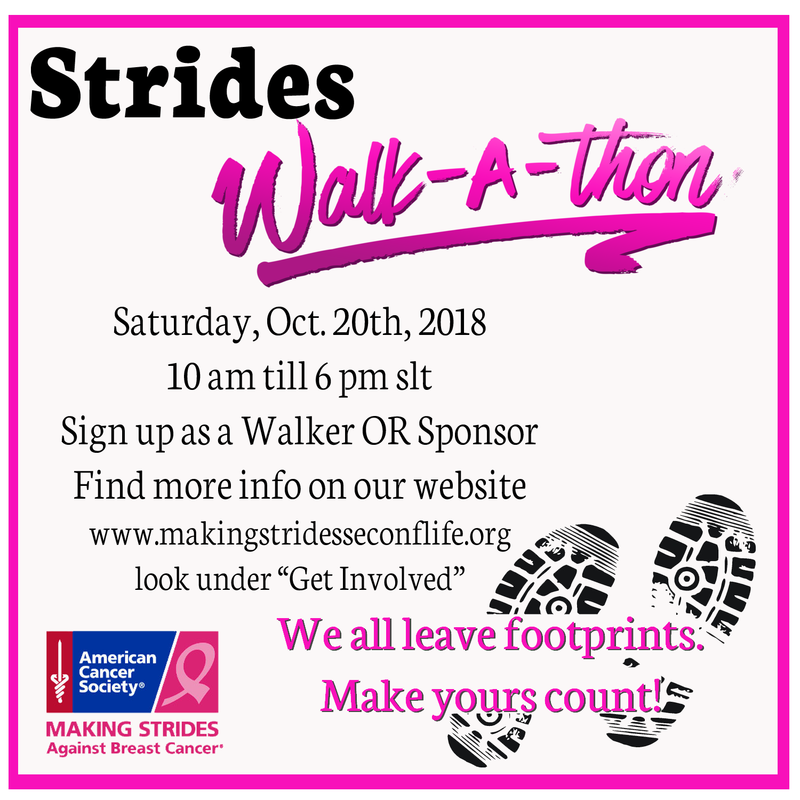 Sign up at makingstridessecondlife.org and collect pledges from your friends and family both in and outside of Second Life. We’ll help you track how many laps around the pink-ribbon track your avatar can make, and then you go and collect all those pledges from your supporters! 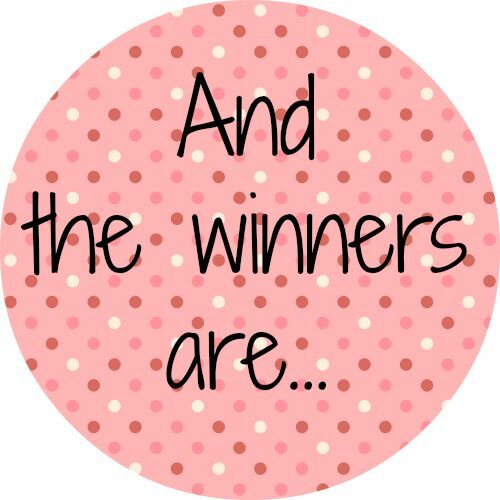 Awards will be presented for Top fundraiser, most laps completed, most sponsors (pledges), and Overall Top Walker. 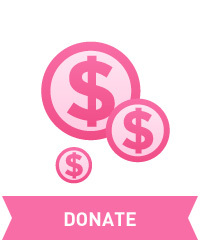 Get the full details about the Making Strides Against Breast Cancer Walk-A-Thon here. This is not just about fashion, this is about Everything! If you have a store in Second Life, and you are interested in fighting breast cancer – this event is about as easy as it can get. Store-owners will use American Cancer Society breast cancer vendor kiosks to feature special products in their stores. Shoppers will make their strides across Second Life by teleporting from store to store with the Out-Shop Cancer HUD. Get your shopping HUD at the American Cancer Society Island, then visit the variety of stores who have committed to Making Strides Against Breast Cancer. The more you buy, the more impact we have together. For more information, get the full details about the Out Shop Cancer event. If you’re a home builder, designer/creator, or landscaper who wants to use your skills to fight breast cancer, this is the event for you! 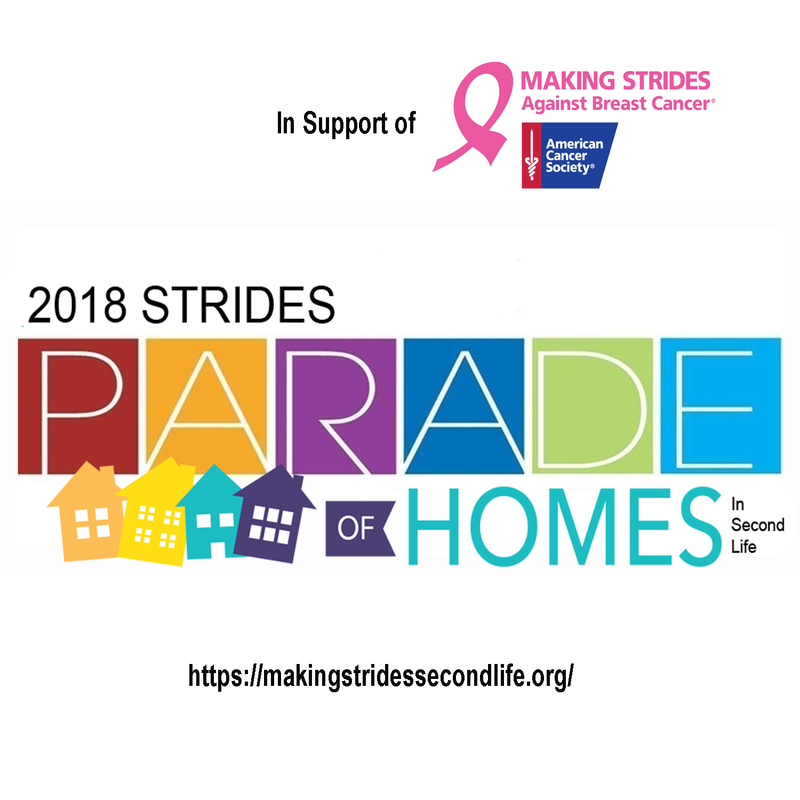 The Parade of Homes will bring shoppers to your store, where you’ll offer a limited edition home through a special vendor kiosk where proceeds will go directly to the American Cancer Society’s breast cancer program. Shoppers & home buyers can pick up a Parade of Homes HUD, which will bring them to each store where they can shop and make donations! This is a perfect opportunity to discover some of the great home designers in Second Life, get your new home, and fight breast cancer – all at the same time. The parade of homes will conclude with a special live auction for a L$90,000 dream home, donated by Slash Hansome, owner of AXL pro. If you’re interested in donating a home or shopping, visit the Parade of Homes page for full details. The annual gala event will celebrate breast cancer patients, survivors, and pay homage to loved ones that are no longer with us. This is a chance to meet new people, reconnect with old friends, and share stories with others about your personal connection to breast cancer. This is a formal attire event with special live performances. Donations are encouraged throughout the event. Participate in an Event, purchase an item whose proceeds go to Strides, make a donation to a Strides Kiosk or at makingstridessecondlife.org. For information on any of these breast cancer events, contact Leala Spire or Sandie Loxingly in Second Life. This entry was posted in american cancer society, Committee event, making strides, media release, second life and tagged #breast cancer awareness, #TEAMMSABCofSecondLife, 2018 Making Strides Against Breast Cancer in Second Life, 2018 Strides Walk, ACS, american cancer society, breast cancer, cancer, Making Strides Against Breast Cancer, making strides against breast cancer across second life, MSABC, Photos For A Cure, strides walk, Survivor Caregiver Honor Gala on September 7, 2018 by sandieloxingly. 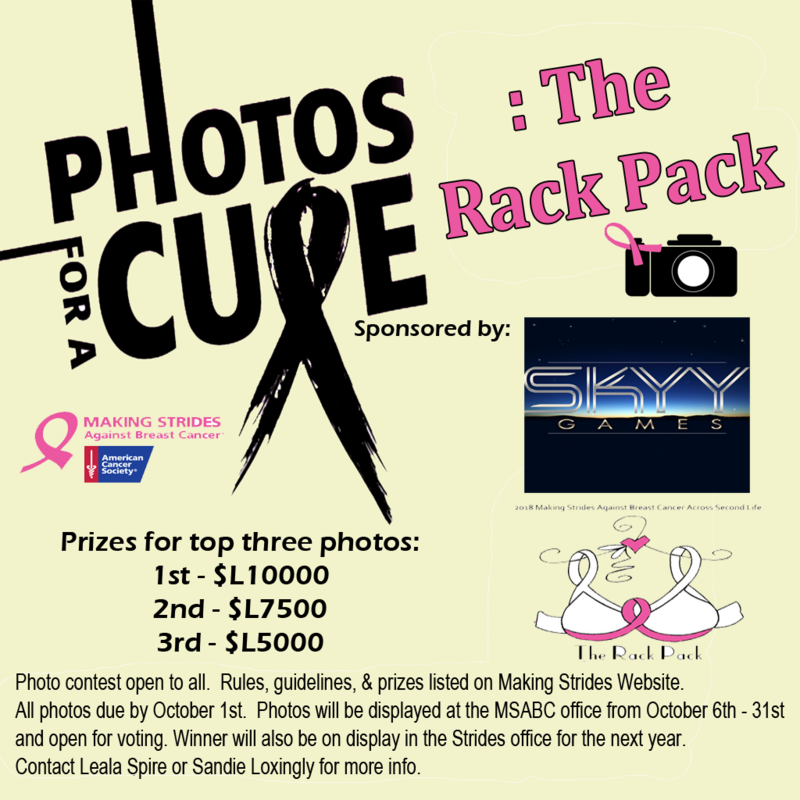 If you haven’t yet submitted your entry for this year’s Photos For A Cure Photo Contest you have until Wednesday, October 18th! 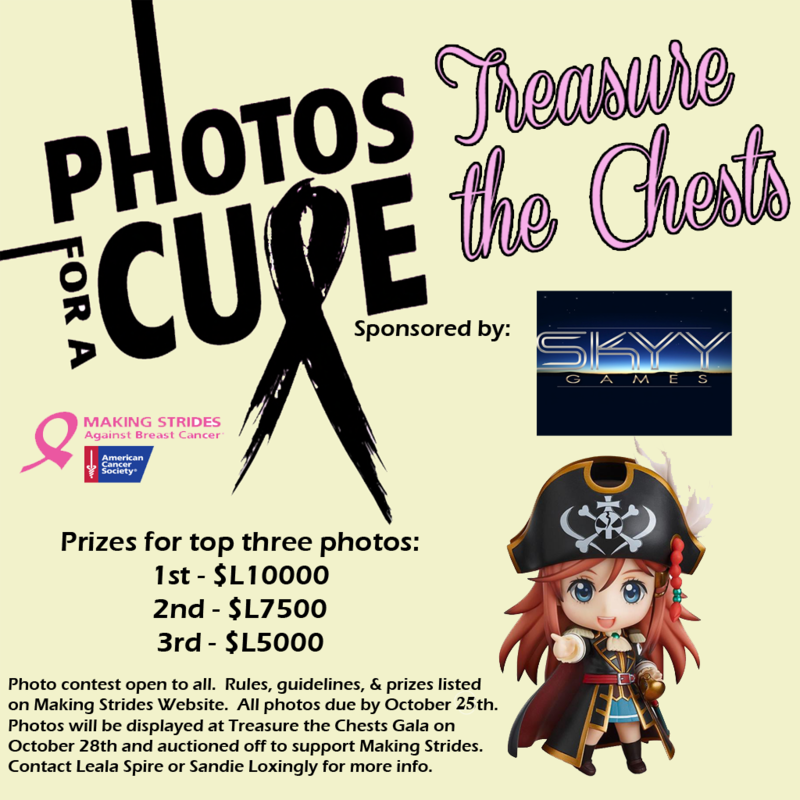 The theme for the contest this year is “Treasure the Chests”. For full contest information and guidelines, please visit this page. This entry was posted in american cancer society, Committee event, making strides, second life and tagged #acs, #American Cancer Society, #breast cancer awareness, #cancer, #TEAMMSABCofSecondLife, 2017 MSABC in SL, ACS, american cancer society, breast cancer awareness month, events, Making Strides Against Breast Cancer, making strides against breast cancer across second life, MSABC, Photos For A Cure, Treasure the Chests on October 17, 2017 by sandieloxingly.